Firms seeking to re-evaluate their fleet fuel choices should get the fundamentals right, take advice if need be and not be swayed by a wealth of conflicting messages in the marketplace. 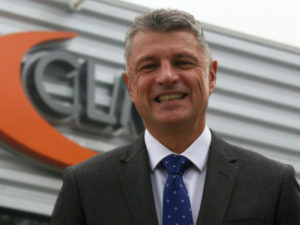 That’s the view of John Lawrence, managing director at CLM Fleet Management, who says that fleets should take a back-to-basics approach and do the number crunching to look at their choices. This includes an emphasis on whole-life costs and ensuring that the right vehicles are selected for the right roles and journey patterns as well as looking at mileage and how long you intend to run the vehicle. Lawrence said that CLM would never advise a wholesale switch away from diesels “because for many situations these remain the most cost-effective choice”. Building on from comments from ACFO, he explained that fleets should be basing fuel type purchasing decisions on the cold, hard facts. “If the nature of your business demands a large number of short, urban journeys, then plug-in hybrids or even pure EVs can be the perfect choice,” he explained. He also warned that drivers opting for a plug-in hybrid to minimise BiK liabilities but not making the most of charging options were very likely to see much higher fuel bills than diesels as a result – something that ACFO has also warned about. Lawrence also said that a panel funding solution, such as its own Smartpanel product, could help fleets find the best price for each vehicle at a time when leasing companies are currently taking very different residual value positions depending on manufacturer, model and particularly fuel type. “If people are concerned, there’s a lot of good information and advice out there amongst the commotion and they shouldn’t be afraid to ask for help in seeking it out,” he added.